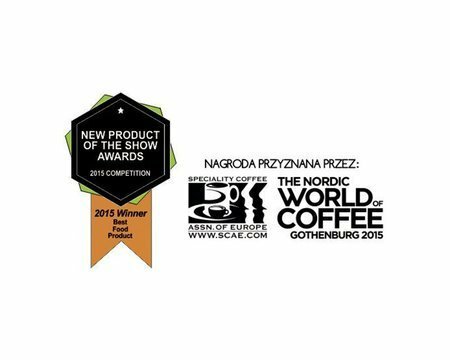 ESPRESSO SYRUP - the best food product 2015! Espresso Syrup ALMOND - Coffee with the aroma of fresh almonds is like chocolate with almonds, you can’t simply resist it. Developed by coffee lovers, for coffee lovers. Espresso Syrup is an all-natural flavored syrup specially developed for coffee, which will turn your classic latte into a carousel of taste sensations. Espresso Syrup contains only the best, which is pure nature. We did not use any artificial coloring, artificial flavors, or preservatives for its production. Why is this so important? Because the high quality, natural coffee we believe you’re drinking, requires equally high quality additives for its preparation. Try our syrups in your coffee, and you’ll see how much its taste may surprise you. This syrup is created specifically for coffee connoisseurs.